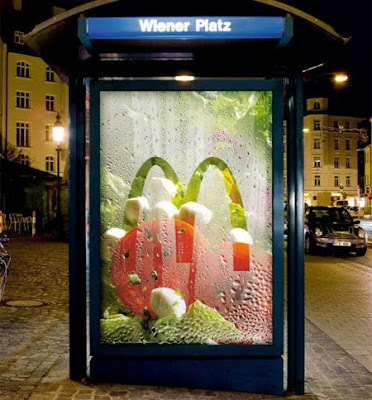 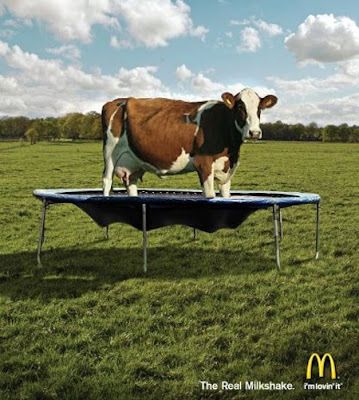 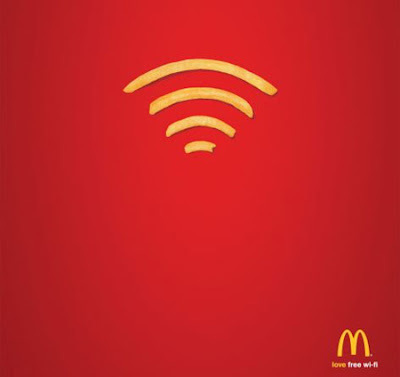 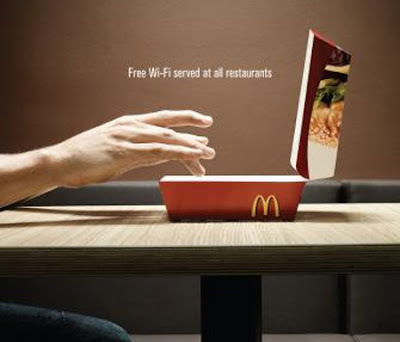 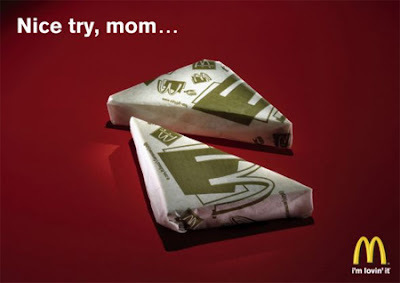 Clever and creative McDonald’s advertising campaigns from all over the world. 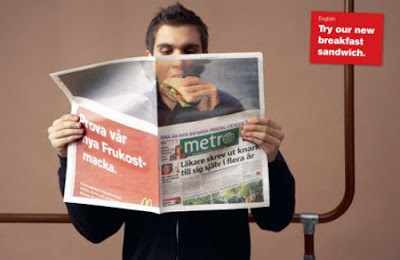 Clever newspaper ad for new McDonald’s sandwich in Sweden. 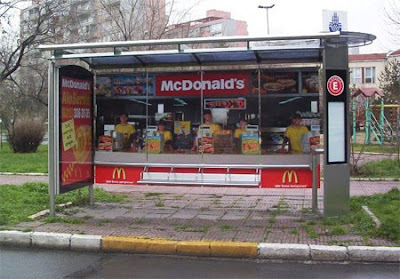 Regular bus stop was turned into McDonald’s restaurant. 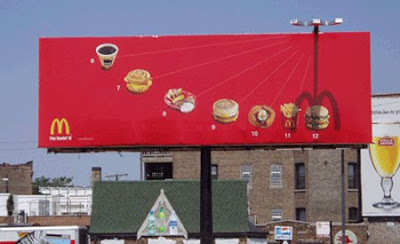 This cool billboard features a real sundial whose shadow falls on a different breakfast item each hour until noon, when the shadow of the McDonald’s arches are dead center. 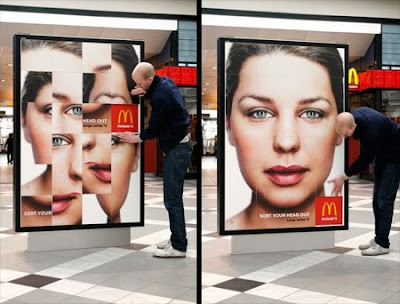 Outdoor posters were turned into large interactive push puzzles that consumers could solve in order to “sort your head”. 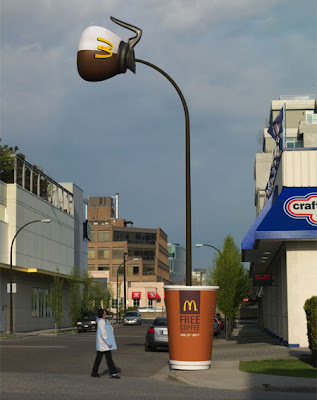 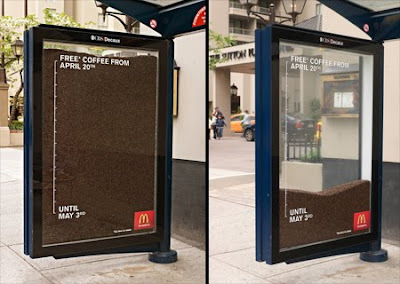 This was done to promote McDonald’s Large Coffee for only 1 Euro in Sweden. 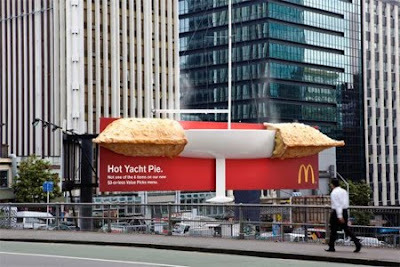 Giant Pie billboard used to promote McDonald’s in New Zealand. 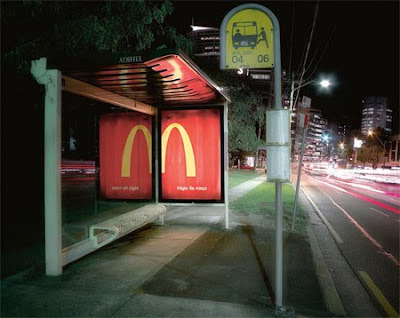 Creative “Open All Night” McDonald’s advertising from Australia. 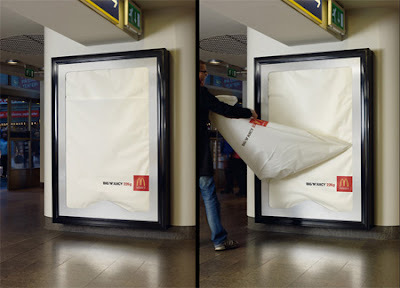 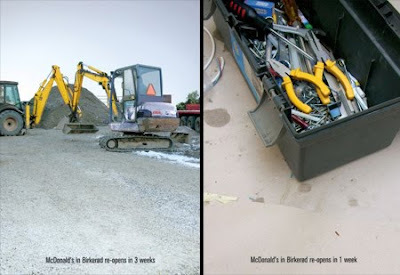 Creative ads for McDonald’s re-opening in Birkerod, Finland. 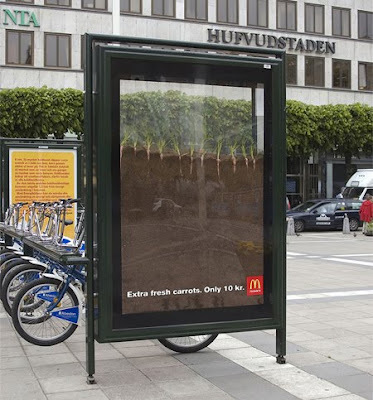 Clever outdoor ad promotes fresh carrots at McDonald’s in Sweden.